This pair of carved emeralds in floral pattern showcases the impeccable craftsmanship from the ancient art of gemstone carving. Set as dangling earrings, the heart of the emerald features brilliant round diamonds that further enhances the beauty and colour intensity of the gemstones. 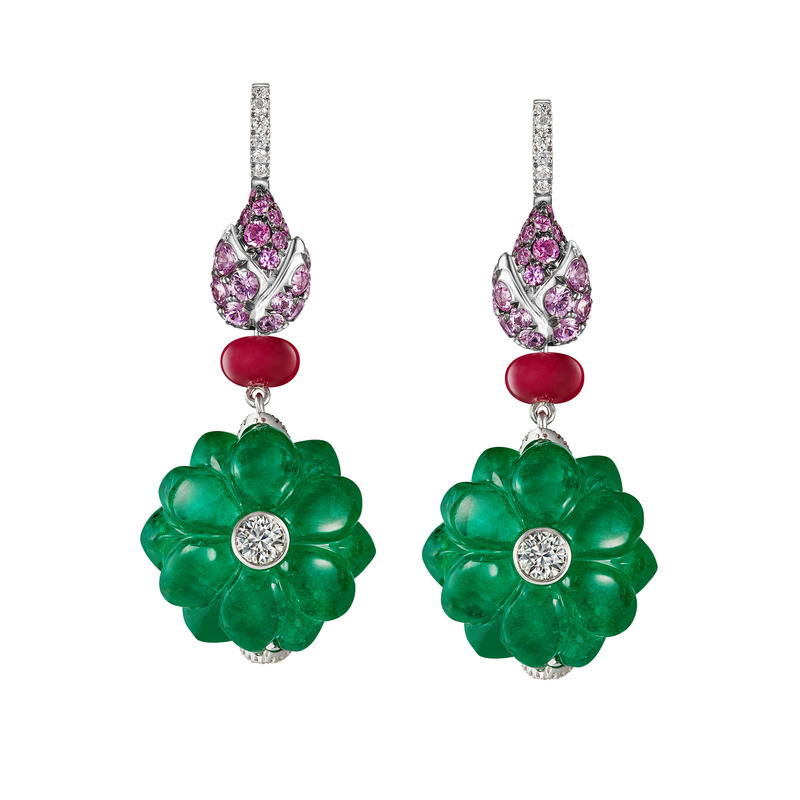 The rubies and pink sapphires add an amazing contrast to the luscious green emeralds, making this pair of earrings a statement-worthy piece.